IWASSA Co.: "Twitter" provides an easy way to write a new tweet via its. "Twitter" provides an easy way to write a new tweet via its. Mini-blogging network "Twitter" announced a simple amendment to its own website, which aims to facilitate the way in which the writing of new tweets via the web site Twitter.com. She explained her tweet within Twitter that makes it easy to write new Tweets more depending on the upper part of the schedule located on the home page to the user. 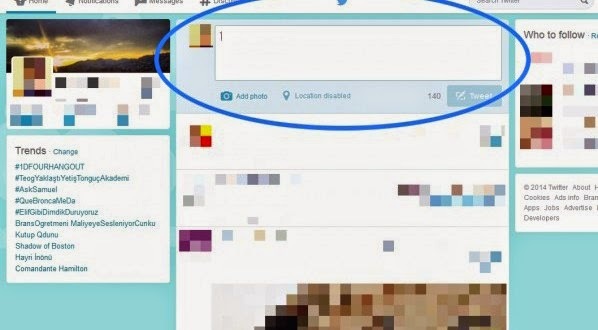 And it was the former requires clicking on the button in the top menu of the site the button, and it shows a small pop-up window allows the possibility of writing a new tweet, as it has become easier than writing Tweet from the top of the home page to any user account, which provides the experience of the use of simpler and helps to provide a little time.